Knead all ingredients to a smooth dough. Cover, and let rest in fridge for one hour. Then separate dough into 8 equal size pieces. Roll out each piece and cut into 12 triangles. 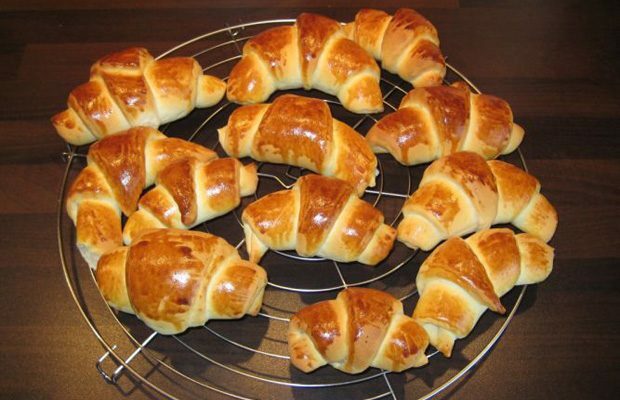 Then take the wide end of each triangle and roll it into a croissant. Place on baking sheet and bake at 350 F for 10 – 15 minutes. After croissants are cold, sprinkle with icing. Enjoy.